From underseasoning to overcooking, there are a lot of mistakes you can make that will ruin your steak. Before you lay that gorgeous slab of meat onto the grill, make sure you're not about to make one of these common steak-grilling blunders. Sometime in the 1980s, health concerns led Americans to cut back on their salt consumption. It was also around this time that red meat fell out of favor, for similar reasons. 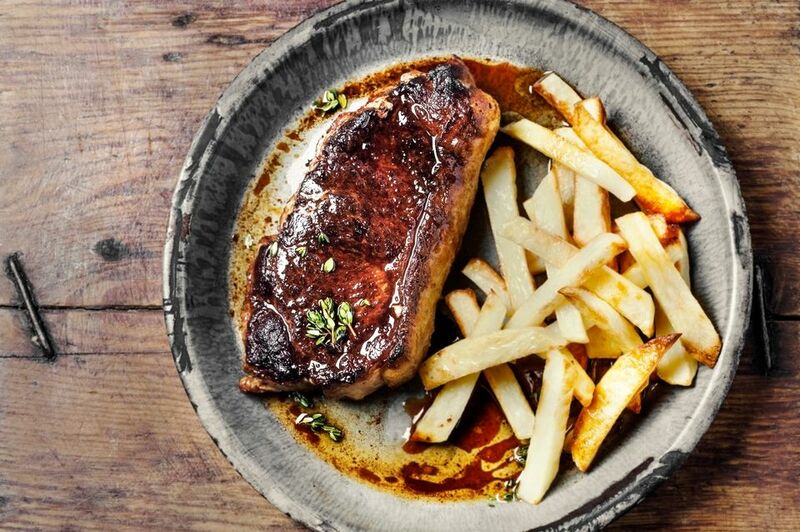 Now steak is back, but an entire generation has forgotten how to season it. Fortunately, Kosher salt makes it easy. The coarse granules are the perfect size to fit your fingertips, and bulky enough to muscle each other out of the way if there's too many of them on board. Remember, a steak should be 1½ inches thick. You can only season the surface, whereas each bite consists of surface plus interior. Therefore, you need enough salt on the outside to season the whole mouthful. 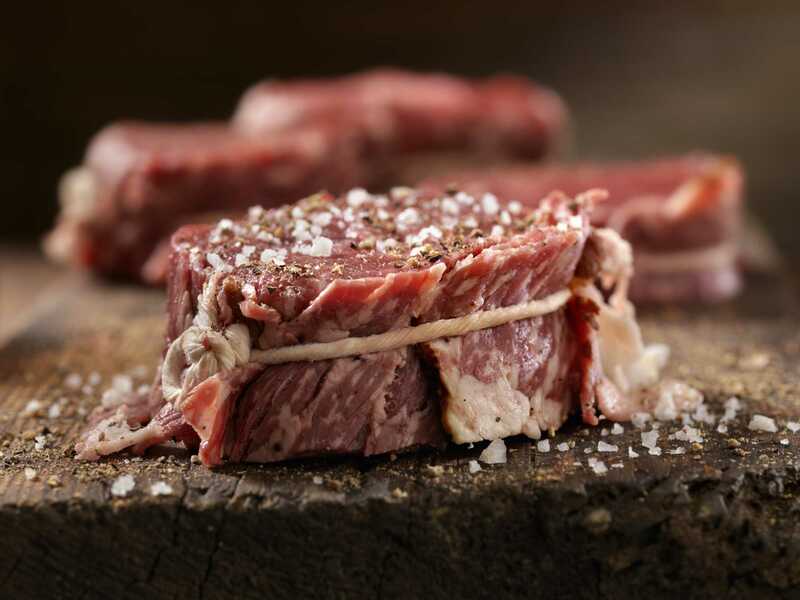 The right way: Season your steaks generously with Kosher salt and freshly ground black pepper. When did we decide it was acceptable to treat our steaks like pincushions? Perhaps the image of a hunk of meat, impaled on a spit and roasting over an open fire, appeals to our primitive selves. Or maybe the ubiquitous practice of grilling steak on skewers has convinced us that puncturing our meat is normal. But it's a mistake, and it can take various forms, from the use of sharp implements like forks to turn steaks while grilling, to the well-intentioned but equally misguided use of instant-read thermometers during cooking (to say nothing of the unconscionable practice of slicing a steak open to check for doneness). Whatever the case, kindly desist. It's already dead—there's no need to stab it again. Every time you pierce a steak, you cause it to hemorrhage juices. And then you wonder why it's dry. The right way: Use tongs to turn a steak, and check for doneness by pressing with your thumb. Steak needs to be cooked quickly, over a high temperature, for as short a time as possible. The longer a steak spends over the fire, the tougher it gets. That's why it's so important not to throw an ice-cold steak onto the grill. A cold steak takes longer to cook than one that starts off at room-temperature. Those extra minutes add up to a tougher, drier steak as the proteins in the muscle fibers become firmer and additional juices evaporate. There's another factor, more significant when you're cooking in a cast iron skillet rather than a grill, but significant nonetheless: a cold steak will cool off the pan, and the time required for it to return to its previous temperature is more time that the steak is exposed to the heat, which in turn makes it tougher. The right way: Let your steaks come to room temperature for 20 to 30 minutes before cooking. To say that well-done steaks are a matter of "preference" is to admit the validity of nearly any so-called "preference" the human mind can imagine. And where does one draw the line? Is eating cotton a matter of preference? How about sawdust? Or sand? This ought to go without saying, but the goal of cooking and eating a steak is to produce enjoyment. It should taste good, and be pleasant to chew and swallow. If mere nourishment is the objective, there are far more efficient and cost-effective ways of providing sustenance to the organism. Thus it can be said without hesitation that cooking a steak anywhere past medium is a grave mistake. If done by accident, it can be excused, but if intentional, it constitutes a culinary malefaction of the lowest order. The right way: Cook your steaks medium rare. The interior of a medium-rare steak will be mostly pink with just a tiny bit of red in the center, and the interior temperature between 130F and 140F. This is the analogue to item number 3 above, and the same issues apply since a cool grill creates the same problems as a cold steak, namely, a longer cooking time. Your grill needs to be hot. You'll hear grill aficionados talking in terms of medium grill, medium-high, and so on. For a steak, it needs to be high, which means at least 450 F. If you're using a gas grill, that makes things a bit easier, since you can adjust the temperature with a dial. Some charcoal grills have built-in thermometers, and those can be helpful too. Broadly speaking, a charcoal grill needs a lot of fuel and a lot of airflow, so opening up the vents will maximize temperature. An easy way to test the temperature of a grill is with your bare hand. No, don't touch it. Simply hold your hand three inches above the grate of the grill and count seconds. For steaks, you should not be able to count past two seconds ("one-hippopotamus, two-hippopotamus"). The right way: Make sure your grill is heated to high, or between 450 F and 500 F.
Here's another doozy: taking a steak off the grill and cutting right into it. Doing this virtually guarantees that your steak won't be juicy. That's because a steak needs time to rest. "Resting" is the scientific term for letting your steak sit for a few minutes between taking it off the grill and serving it. This is an important step as it spells the difference between a juicy steak and a non-juicy one. A steak is made up of tiny cells, and each cell is filled with juice. When you grill a steak, these cells contract, and the juices rush into the center of the steak. If you cut into it right away, all those juices will spill out onto your cutting board or plate. But if you wait five minutes, those cells will resume their former shape and the juices will return. So when you take a bite, the juices will be in your mouth, not on the plate. The right way: A steak needs to rest for five minutes off the grill before serving it. If you cover it with foil during this time, it'll help keep it warm. A word to the wise: Just because a sticker on a package of meat that says "Great for grilling!" does not necessarily mean it's great for grilling. These days, consumers face a proliferation of cuts of meat with the word "steak" attached to them, from blade steak and chuck steak to the old-West-sounding Denver steak and Sierra steak. But what are these steaks? Over the past several years, meat producers discovered that by dissecting the beef carcass in new and different ways, they can isolate certain muscles that, in the old days, would've ended up as stew meat or ground beef, and market them as "steaks." Some of these, like the Denver steak, aren't half bad. In other cases, let's just say there's a reason they were used for stew meat. But how are you supposed to know which is which? The answer is, the best steaks for grilling come from either the short loin or rib primals. We're talking about your ribeye, New York strip, tenderloin, T-bone and Porterhouse steaks. The right way: Stick with steaks that have the word "rib" or "loin" or "strip" in their names. How to Make Great British Food. Watch These Videos. What's the Difference Between Stock, Soup, and Broth?